3 How Long Can You Cook Beef Ribs at 300 Degrees? 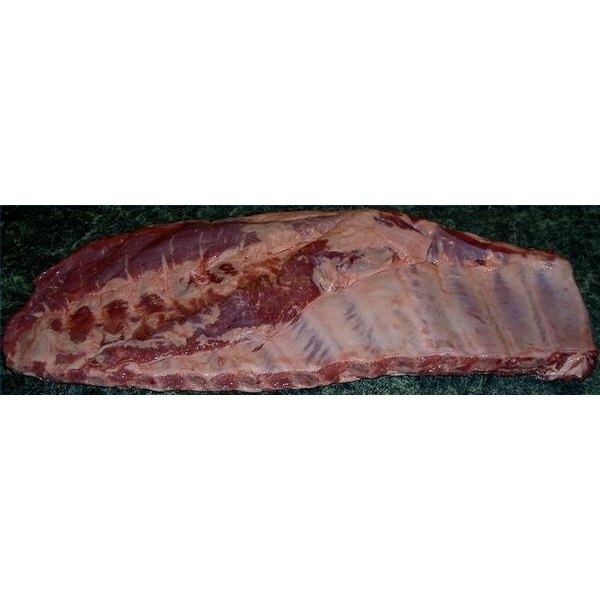 Pork spare ribs come from pigs, and they are cheaper than other types of ribs due to the higher proportion of bones in them (see Resource 1). Also referred to as side ribs or spares, these long flat ribs are located at the bottom of the rib, farthest away from where the ribs meet the spine (see Resource 1). Unlike other cuts of meat, there is no target internal temperature to determine whether the ribs are cooked. The National Pork Board advises cooking pork spare ribs until they are tender (see Reference 1). Spare ribs can be cooked two ways in the oven: roasting or broiling. Roasting requires that the ribs are placed without sauce into a roasting pan and cooked uncovered at 350 degrees Fahrenheit for an hour and a half to two and a half hours, or until the spare ribs are tender. Broiling spare ribs involves cooking them uncovered in a broiling pan, 4 inches under the broiler for the same amount of time as roasting, or until tender (see Reference 2). Braising and stewing are two ways of cooking spare ribs. These methods require that the spare ribs are cooked over a simmer in a covered pan filled with liquid. The difference between braising and stewing is that stewing is done at a very low simmer. This can also be accomplished in a slow cooker on low heat. Braising only requires one and a half to two and a half hours to cook the ribs to tenderness, while tender, cooked spareribs from stewing need two to two and a half hours to cook (see Reference 2). 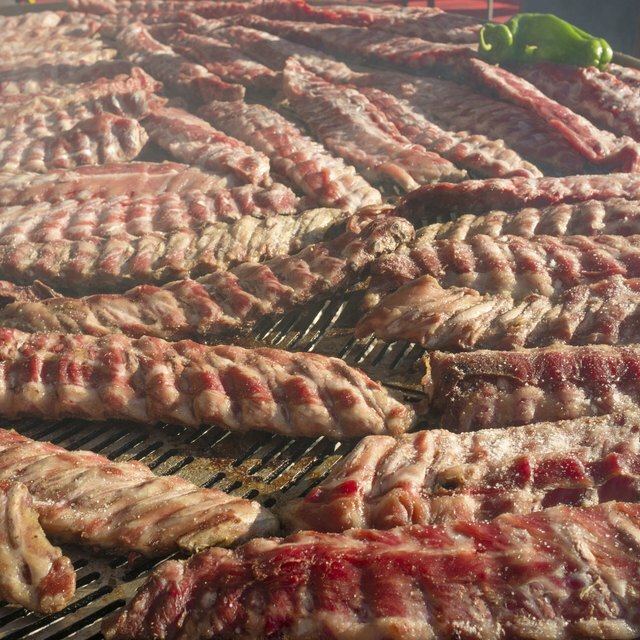 Cooking spare ribs on the grill or barbecue over indirect heat is the same as broiling them in the oven. The method and cooking times are the same. The only difference being the direction of the heat. When cooked 4 inches from the heat in a broiler, the spareribs have heat coming downward, but on a grill or barbecue, the heat is coming from below. How Many Calories Are in Smoked Ham?